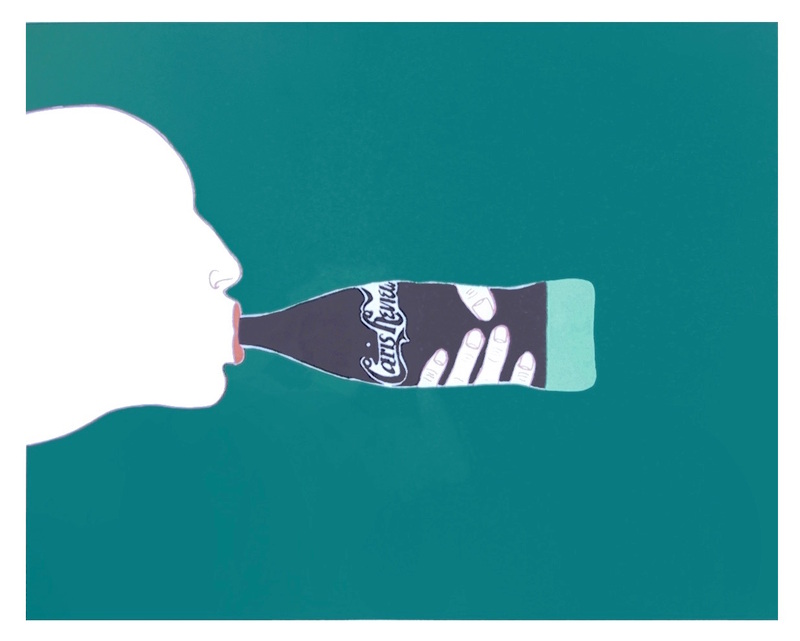 Marisol Escobar, Untitled, 1965, silkscreen, 26.5″ x 32.5″. Very well, Marisol. Agree to disagree. For a few more days—until January 10—New Yorkers can see this print, along with other sculptures and works on paper by Marisol, at El Museo del Barrio, where she’s having her first solo show in a New York museum. 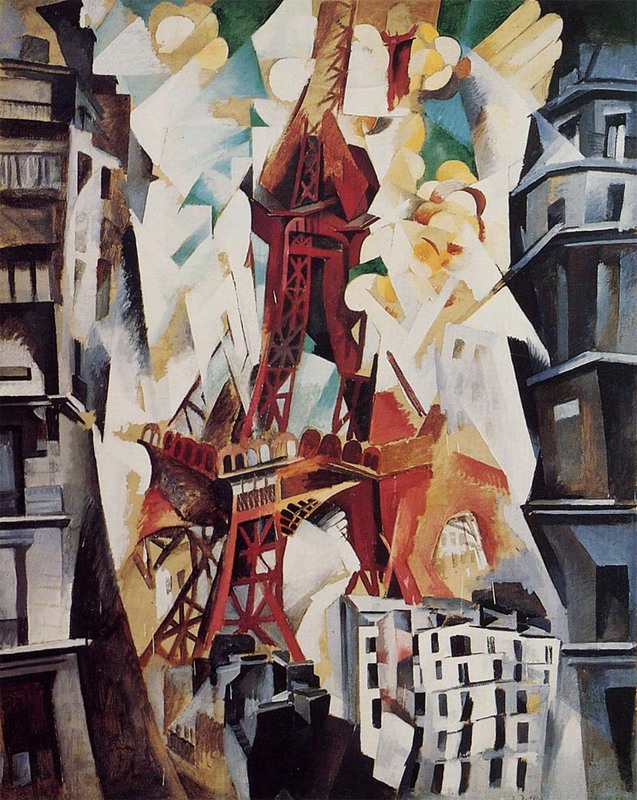 Rather than waste more words, then, I’ll get onto the work itself: below, more pieces from the El Museo del Barrio exhibition. 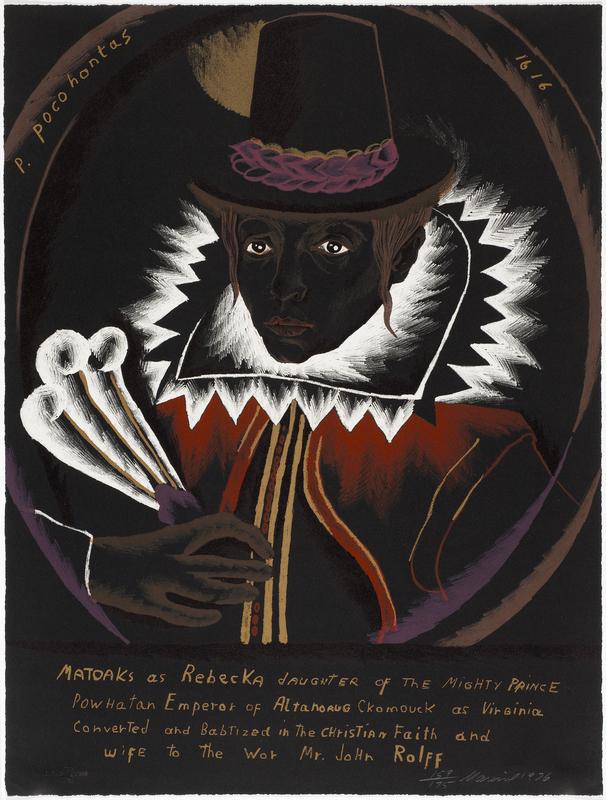 Pocahontas, 1975, lithograph, 26⅛” × 19¾”. 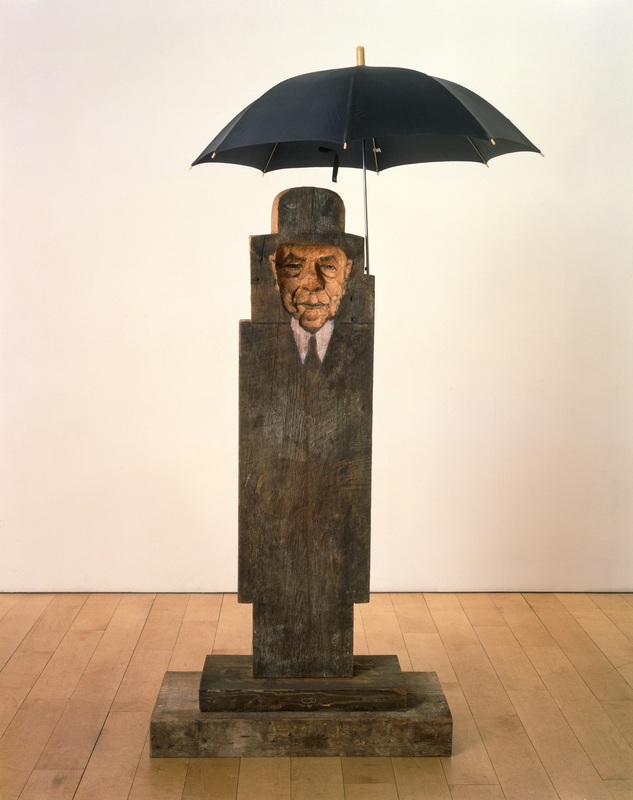 Magritte IV, 1998, wood, oil paint, plaster, charcoal, and cloth, 70″ × 41″ × 36″. 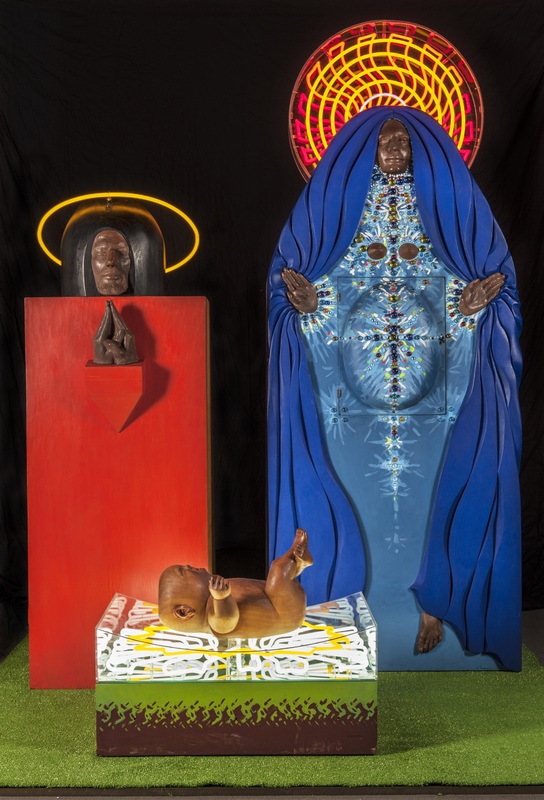 The Funeral, 1996, oil and crayon on wood, 56″ × 122¼” × 11″. 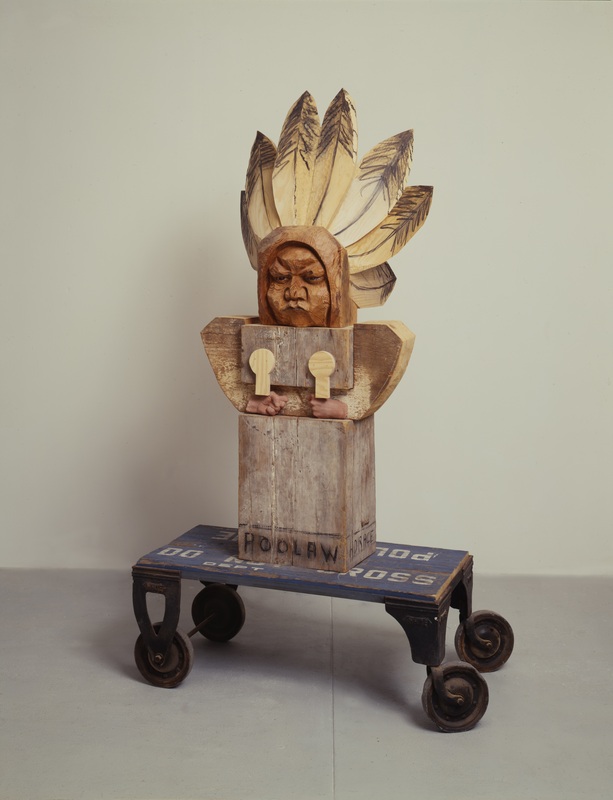 Horace Poolaw, 1993, wood and mixed media, 76″ × 40½” × 32″. 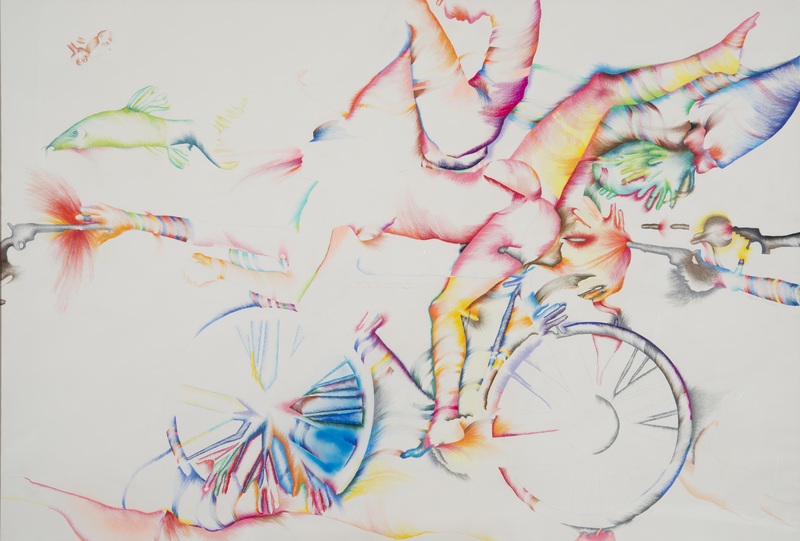 Lick the Tire of My Bicycle, 1974, colored pencil and crayon, 72⅛” × 105⅛”. 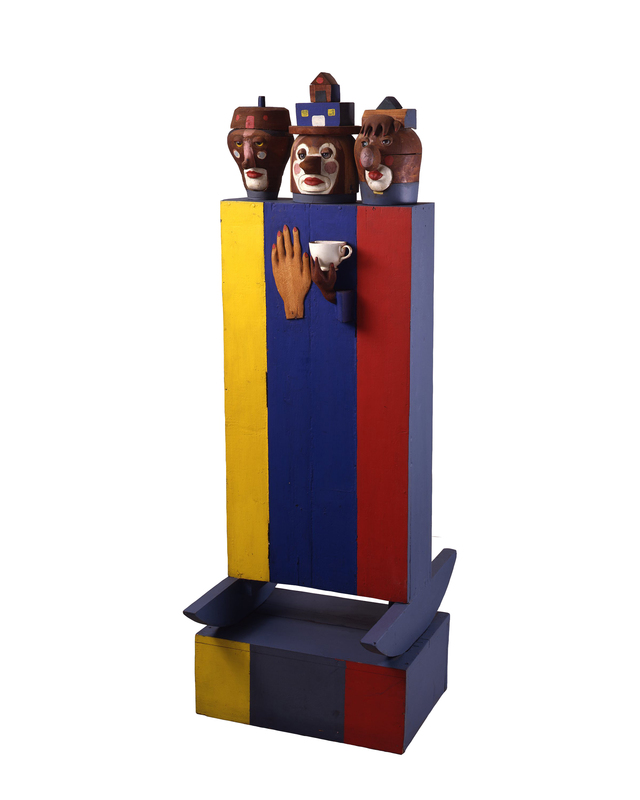 Tea for Three, 1960, wood, acrylic, and found objects, 64″ × 22″ × 27″. 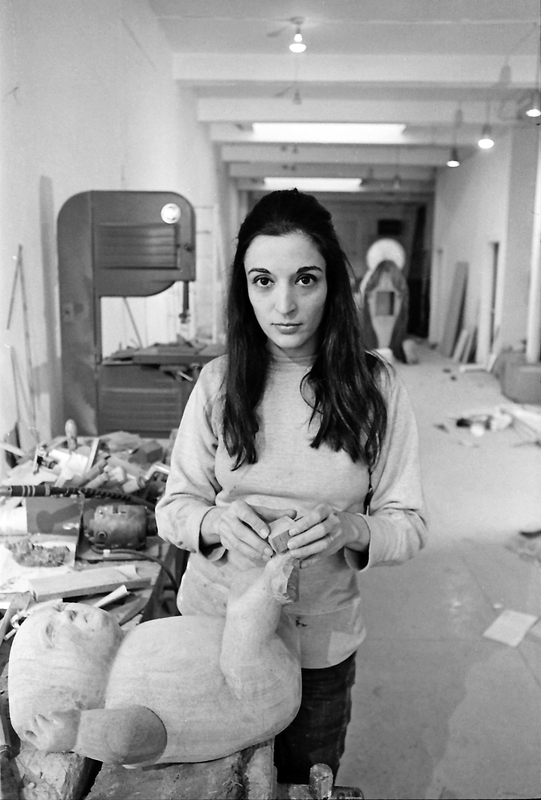 Jack Mitchell, Marisol Working on “The Family,” 1969, photograph.